After years of working on tall buildings, it occurred to James Morgan that by effectively removing the guesswork for managers, owners and contractors, drone technology has the power to revolutionize exterior envelope maintenance in high-rises and infrastructure . It is no longer necessary to guess at the extent of damage and/or maintenance needs in developing proposals or budgets; drones can provide exact detailed information, informing both contractor and principal on all aspects of scope. After decades of experience working at height in the waterproofing and facade restoration industry, James brings a unique perspective and understanding of the needs of both contractors and principals and knows exactly what to look for and how to interpret it. 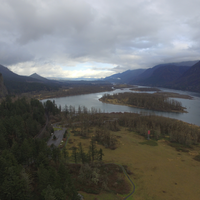 NW Aerial Inspection, LLC is eager to expand into other drone-related services and takes pride in serving clients with the highest level of professionalism. James holds a current FAA Part 107 Remote Pilot license.